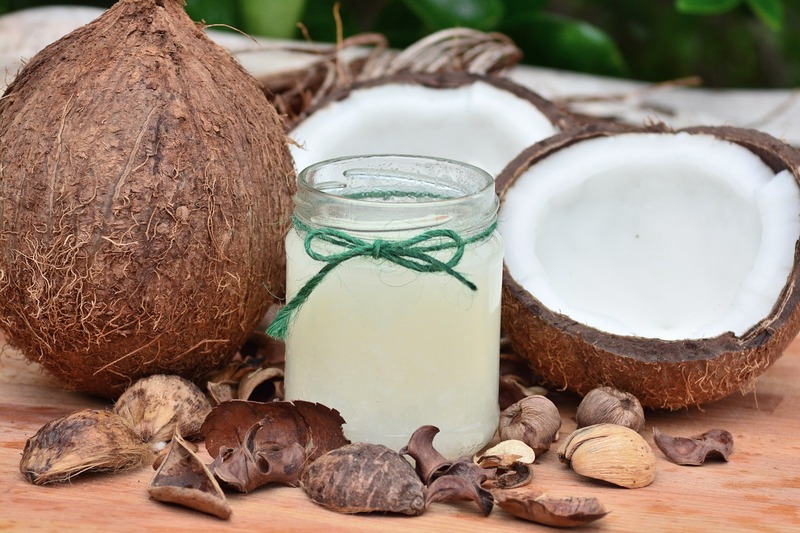 Coconut Oil is derived from coconut meat, the process is by grating coconut meat, grinding which is optional. There are 2 ways to process it which is boiling and storing the sieved coconut water milk in a refrigerator until it solidify. This oil has many uses but today I am sharing only 6 amazing uses of it. ● You can use Coconut Oil to make your own body butter cream, you can whip up body butter by mixing coconut oil and some other essential or carrier oil and you will get a great fragrance body butter that your skin will love. ● Use Coconut Oil to moisturise your skin, by doing so, you will benefit from the wonderful natural protection from sun, which acts as a sunscreen. Coconut oil has a lovely fragrance, it soothes sun burn on the skin. ● Use Coconut Oil for cooking your meals, this is one of the healthy way to prepare your meals, you can use Coconut Oil to fry your foods as well, as it has high smoking point. It’s also a good substitute for butter in cooking some dishes. ● You can use Coconut Oil to make your popcorn, replace your vegetable oil and use coconut oil instead, it gives your popcorn a nice coconut taste and smell. ● Use Coconut Oil to make your hair treatment, to get a shiny luscious hair use coconut oil, Shea butter and some carrier Oil and essential to whip up a great hair oil that your hair will love. Do hot oil treatment by heating coconut oil on the stove top until luke warm, section your hair in 4s or 5s and apply the oil on your scalp, cover with a shower-cap and let sit for 1 hour, rinse off and moisturise your hair. Do this every once in a month and your hair will be free from lice. Hope you enjoyed reading this post? If yes, please leave your thoughts on the comment section.